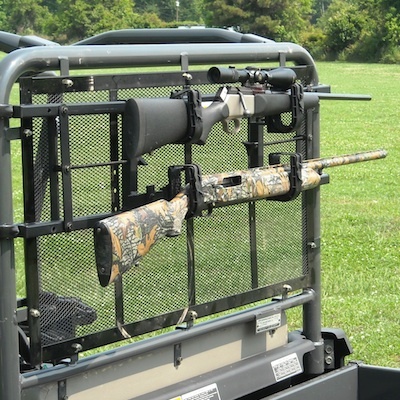 When you head to the woods in your UTV, you want to use every inch of your space wisely - to make the most of leg room, passenger room and, especially, equipment storage room. 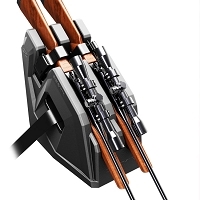 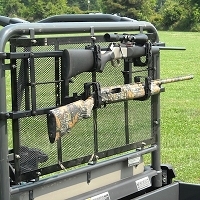 The Power-Ride allows you to transport two firearms safely, securely and out of the way. 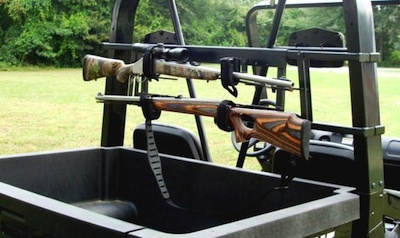 The Power-Ride Gun Rack mounts snugly at the back of the UTV cab and holds two guns in protective, super-soft cradles with Velcro retainer straps - safe and secure even in rough terrain rides. 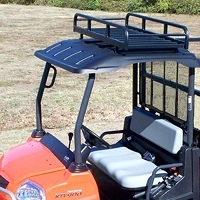 The Power-Ride includes a unique mounting base that attaches to the UTV frame and adjusts to fit all popular brands. 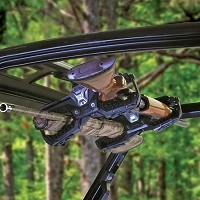 With the turn of two wing-knobs, the Power-Ride can be installed or removed in seconds making it the most versatile, most convenient accessory ever! 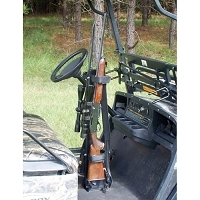 One minute you have a plain UTV - the next, you are ready for the hunt. 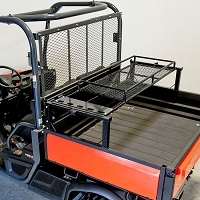 The Power-Ride is framed in super-strong aircraft aluminum and finished with tough, powder-coat paint for years of lasing, dependable service.